This tutorial will walk you through how to publish a current Canvas course. A course is not available to students until you publish it. Once you publish your course you CANNOT unpublish it. Select from your courses menu the course you want to publish. The setup checklist will appear in a window at the bottom of the screen. Click the Publish Course link to open the option of publishing your course. 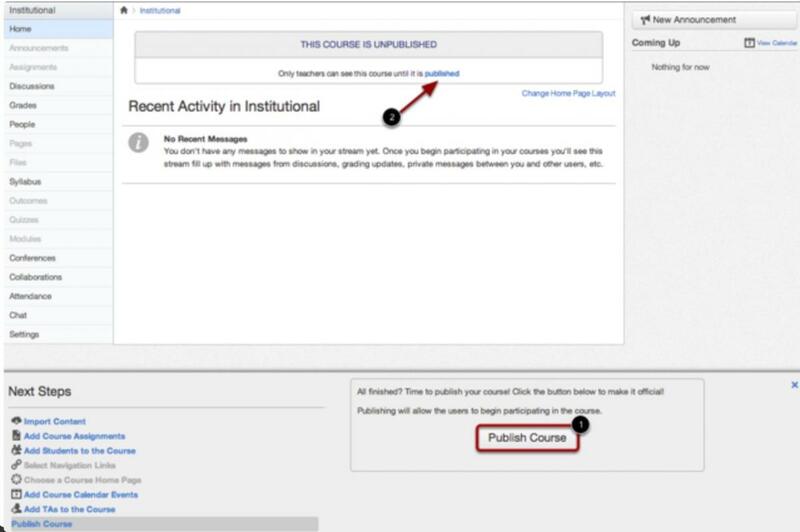 A message will appear at the top of your screen confirming the publishing of your course.